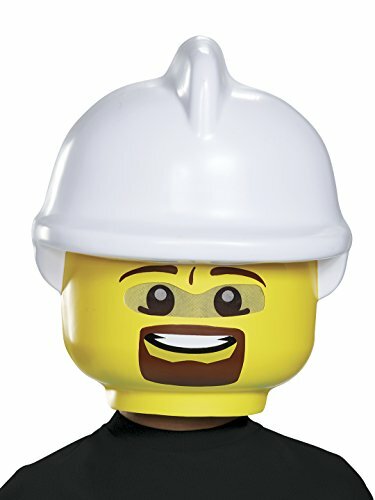 This is a 2pc full helmet of the iconic LEGO guy. 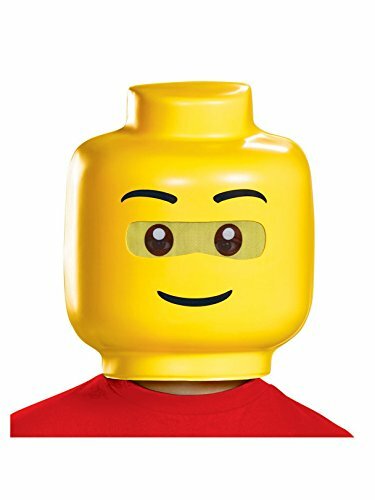 Add it to your costume or wear with your own clothes and everyone will know who you are, the LEGO guy! 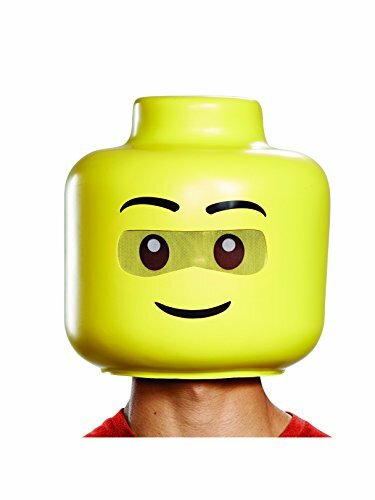 No LEGO costume is complete without the LEGO Guy mask! 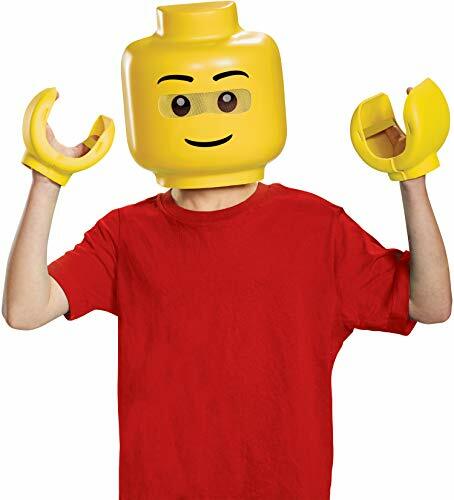 Pair this mask with the LEGO hands and a red t-shirt and you are ready to go! This is a 1/2 mask that covers the front of the face and has an adjustable elastic strap. Do you love LEGO and need an easy costume to wear? This is the perfect kit for you! It includes a 1/2 mask of the iconic LEGO guy and the LEGO hands. All you have to do is add your own clothes and you are the LEGO guy! Have you ever wanted to look like an iconic LEGO mini fig? now is your chance, just put on this very cool LEGO firefighter 1/2 mask and you'll instantly become a min-fig!. Have you ever wanted to look like an iconic LEGO mini fig? 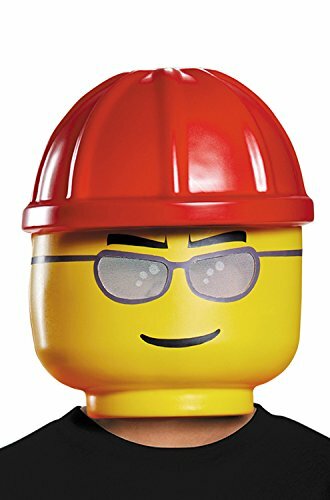 now is your chance, just put on this very cool LEGO construction worker 1/2 mask and you'll instantly become a min-fig!. Includes Wig Cap, Headband And Shirt. Does Not Include Pants Or Shoes. This Is An Officially Licensed Karate Kid A" Costume. 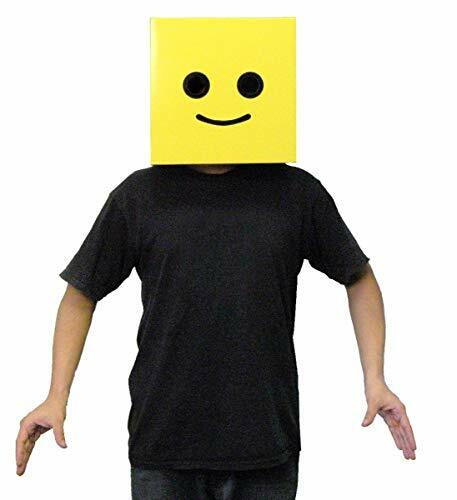 You'll be the coolest guy on the block wearing this Mr. Block Head Costume! 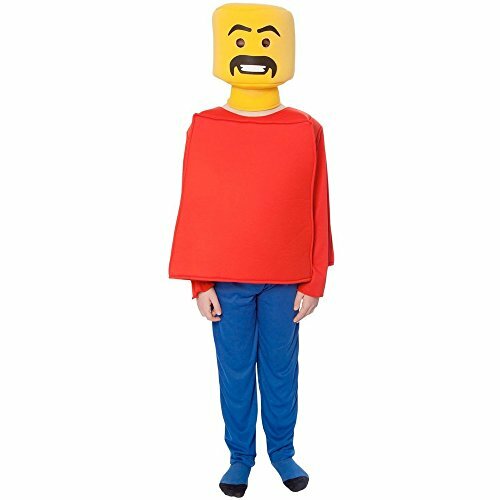 Designed to look like a LEGO figurine, this outfit includes a bright yellow headpiece, a red shirt and blue pants. Have you ever wanted to look like an iconic LEGO mini fig? 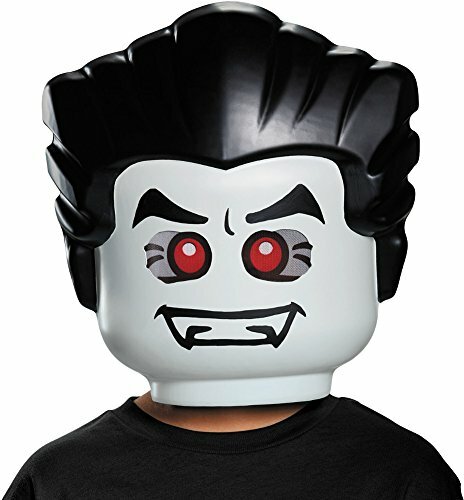 now is your chance, just put on this very cool LEGO vampire 1/2 mask and you'll instantly become a min-fig!.